As a palmist, I have always been fascinated by pictures of hands, such as handprints, photos, and casts. 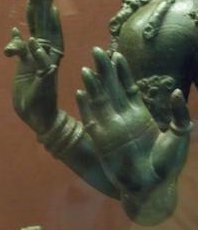 But it is only when I recently visited the British Museum in London, England, that I started to be interested in hands in art, especially ancient sculpture. 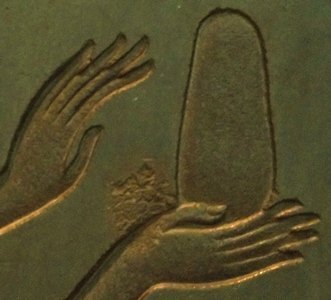 The first hand that caught my attention was carved on an Assyrian stele from about 800 BC. 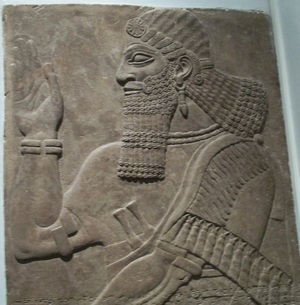 I discovered with amazement the three major lines - maybe four, if you consider there are two life lines - engraved very clearly on the hand of a man with a very curly beard, a typical feature of Assyrian reliefs. I found it very exciting! 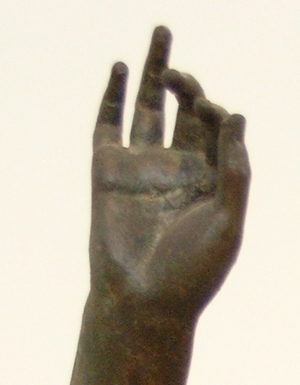 From that moment, I decided to find out how hands – particularly palms – were represented in antique times. 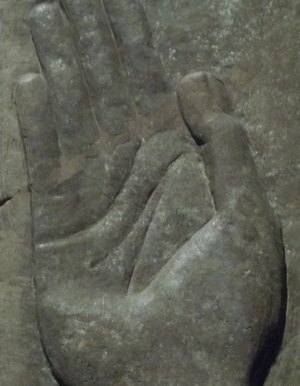 Armed with my digital camera, I proceeded to explore the different rooms of the British Museum while taking countless pictures of hands. This article is only based on my own pictures and is not meant as a scientific study. My next stop was Egyptian art, and I was a bit disappointed because the Egyptians were not very keen on showing the inside of the hands. 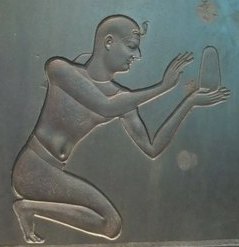 The closest I could come to it was on a relief, dating back to 1000 BC, showing a man making an offering. No lines were visible. I guess they were counting on the mummies to show the lines! 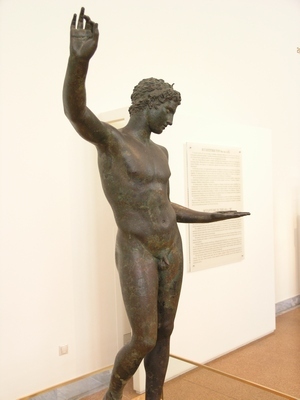 I was not too lucky with pictures of hands in Antique Greece, so I am showing instead a beautiful sculpture, entitle Marathon Boy, which actually exhibited in Athens and dates back to 340-330 BC. There, we can definitely see lines. Greek sculptors were more interested in beauty than in accuracy, so the lines are not as clear as they could be, considering the amount of details showing in the rest of the statue. Around the 3rd century BC, Roman art started to take over Greek art. Romans artists wanted their statues to be very realistic. 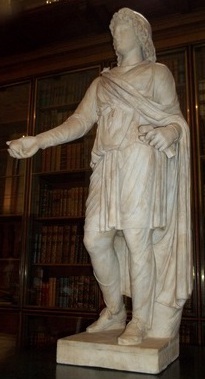 The sculpture I have chosen represents the Trojan prince Paris and was carved some time during the 2nd century AD. 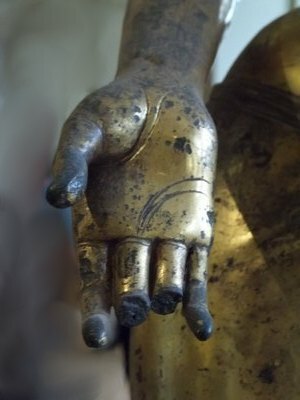 It is wonderful to see the details of the hand, such as lines, fingernails, knuckles. 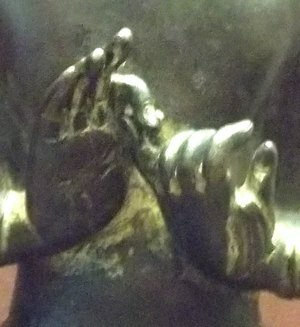 My quest to obtain pictures of hands led me to other parts of the British Museum, and of the world, and I arrived in India, in front of a beautiful golden statue created around 700-750 AD and representing Bodhisattva Tara, a female Buddha. 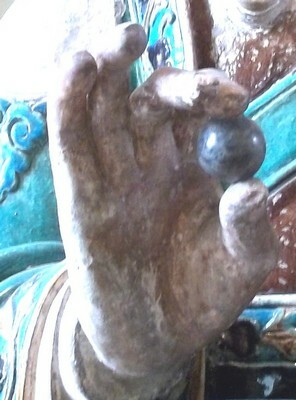 Her right hand is shown in the position of "varada mudra", the gesture of giving (more on “mudras” in a future article!) As you can see on the photo, this hand shows two sets of curved lines, as if she had two life lines and two heart lines, but no head line! 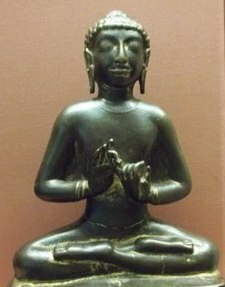 There was also a Buddha from the 5th century teaching the "dharmachakra mudra" with his little finger extended. His right hand presents normal lines with few details. 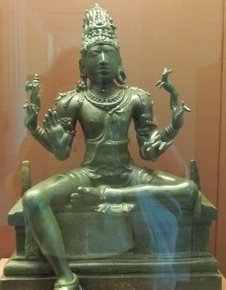 The Hindu sculpture of Shiva (950 AD) provided me with four hands and interesting lines: two horizontal lines crossing the hand, like two head lines, as well as a vertical line reminiscent of a destiny line. 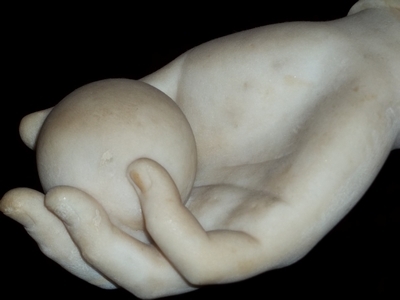 Also, the life line around the ball of the thumb (Venus) is very prominent. 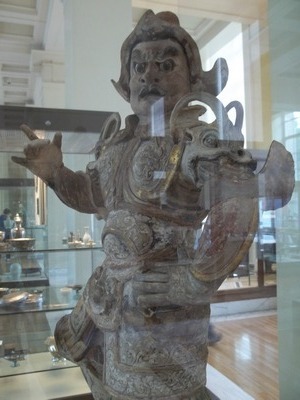 My British Museum journey then took me to China, where I encountered a tomb guardian from the 8th century AD. His elegant hand features a double life line, as well as a head line, but no heart line! 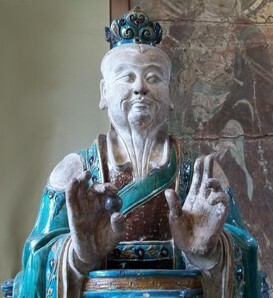 I ended my visit with a beautiful glazed stoneware statue of a Taoist deity from the 16th century. While the hands of the smiling god are very proportionate, their lines are very blurry and don’t allow any analysis. Too bad! 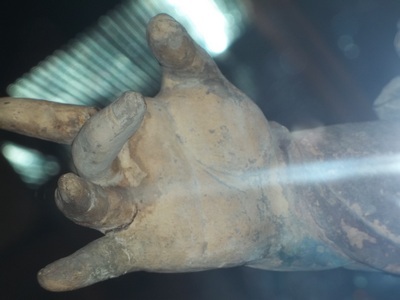 It is interesting to see how artists have treated hands all over the world and over many centuries.From now on, I am going to take a closer look at hands when I visit museums and historic sites, and I will be taking more pictures of hands. What about you?